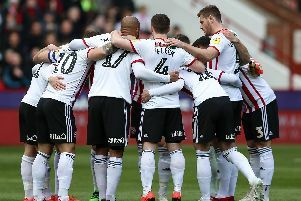 Chris Basham has warned his Sheffield United team mates they must learn the lessons of last season or risk suffering more shock defeats at home, writes James Shield. Basham made the admission ahead of today’s League One encounter with Bury who, new manager Nigel Adkins insisted last night, feature among the most dangerous opponents United could face this term. Despite making an encouraging start to the present campaign, Basham is conscious that poor results against some of the division’s less glamorous names undermined United’s bid for promotion during the closing stages of Nigel Clough’s tenure. “The new manager is really looking into the depth of the team, we look at games Bury have played in. Basham added: “Bury will be a tough game. They beat Walsall, who were top of the league, scored after six minutes and showed they can defend a lead. “They have brought in quality players from League One and the Championship, I know the manager (David Flitcroft) having played under him when I was at Rochdale and he was their assistant. “He will have them rallied, up for it, they have money behind them and they are not looking to be in League One, they are looking to be in the Championship.